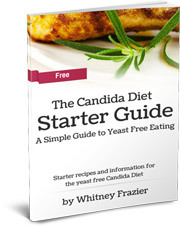 The Ultimate Candida Diet Resource! Finally! All the Delicious Recipes and Meal Planning Tools in One Simple Step-by-Step Resource GUARANTEED To Save You Time and Your Sanity On the Candida Diet! 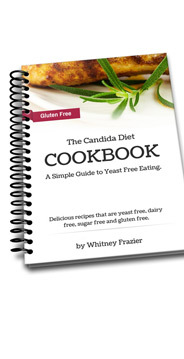 Grab The Candida Diet Cookbook Today! 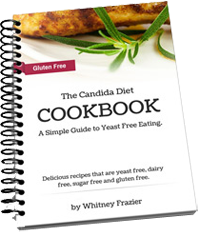 "The Candida Diet Cookbook is one of the best resources that I have found in incorporating these changes with my patients. I highly recommend it to anyone who is struggling with yeast issues or who would simply like to maximize their health." The truth is the diet most of us eat is the opposite of what we should be doing. Do you feel worse after eating certain foods or meals in general? Do you get bored and feel like you have to eat the same things over and over? Do you experience intense cravings for sugary snacks and processed foods? Would you like to spend less time thinking about which foods to eat and more time feeling healthy and vibrant? 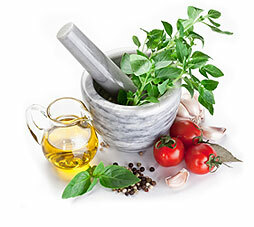 Would it be great to have a collection of EASY recipes that are healthy, delicious and specifically designed to be used on the yeast free Candida Diet? I know where you are because I have been there myself. This cookbook is filled with simple and tasty yeast free recipes with easy to follow instructions that anyone can follow. This resource makes yeast free cooking a breeze, no hard to find ingredients or cooking skills needed. 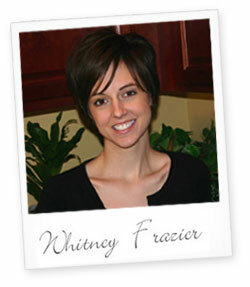 My name is Whitney Frazier and like so many people I suffered from yeast overgrowth and the side effects including sugar cravings, recurring yeast infections, and fatigue that kept me from being active and doing the things that I wanted to do. I found the solution and I want to share it with you! Let me take you by the hand and walk you step by step through the ins and outs of meal planning and yeast free eating. "Don't let healthy eating make you nervous - I will keep it simple... I promise." It's only by eating the natural foods your body was designed to eat that you can experience optimal health and wellness. 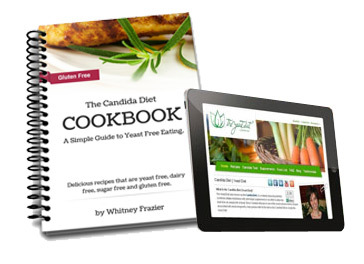 After hearing about so many others that have experienced the same struggles to find good recipes and yeast free foods for the Candida Diet I decided to make this resource available to everyone who is struggling with yeast. 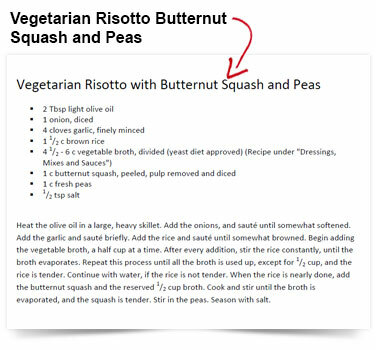 Since then I have connected with literally thousands of people from around the world who have used these recipes, my website and our Facebook page forum to help them reach their health goals. Here are just a few examples of the 200+ recipes included in the cookbook. If you buy today, you will get the SPECIAL BONUSES mentioned above for FREE! Having a variety of 200+ mouth-watering recipes and snacks will ensure you never have to eat the same thing twice... unless you want to! No hard to find ingredients or specialty products involved hereâ€¦these are simple recipes that are easy to prepare and your whole family will love... I guarantee it. None of the usual toxic foods found on today's common diets so you can live healthy and know you are making good choices for yourself and your family. 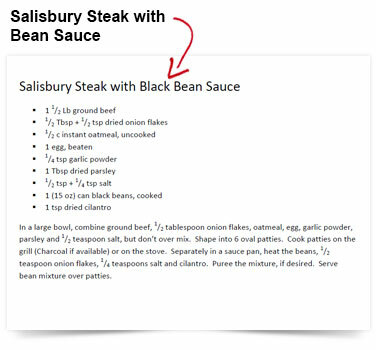 Easy to follow recipes that anyone can prepareâ€¦you don't even have to know how to cook â€“ this guide makes it so easy! The whole variety of natural foods available so your body is nourished throughout your yeast free journey with only the most nutritious foods to cleanse your body. Exclusive tools for tracking your progress that are not available in any other resource. 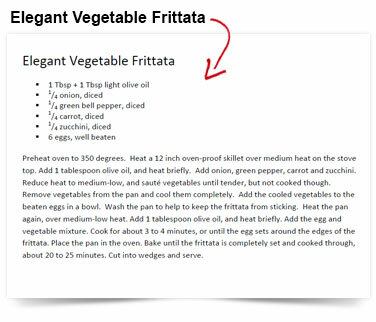 Food lists and step-by-step guidelines so you always know what you can eat to stay on track. 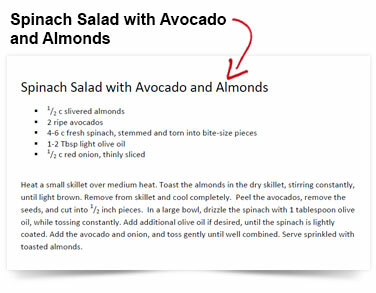 Instant access to all the recipes, guidelines, tools and resources so you can start right away. Convenient PDF file format for unlimited use on your computer, IPad, Kindle, Nook, or smart phone. 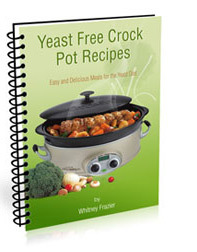 Free Bonus: Crockpot Recipe Cookbook for super easy recipes that literally cook themselves. Free Bonus: 3 Week Meal Planning Template to help you quickly and easily plan your meals in advance and to use as a grocery list for shopping. 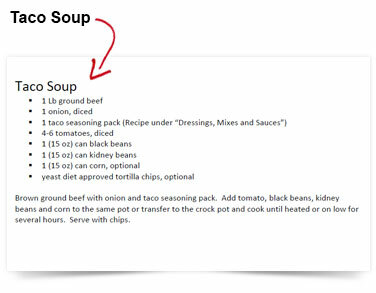 Easy Crock Pot Recipes - Now Available! Meal Planning on the Go! Use these recipes for a full 60 days! Take your time to review the resources and cook the meals. If for any reason you aren't completely satisfied just let me know and I will refund your money - no questions asked! "Your cookbooks have really answered my prayers! It was just another stressor for me to stick to the few things I knew for sure were yeast free. And,just going to the grocery store, I was overwhelmed, not knowing where to begin or what to buy. I have much more willpower and relaxation with your numerous tasty meals options thanks to your research and recipes. And, my husband loves them, too, which is another plus for me as he is my biggest support. Your meatloaf recipe is the best our family has ever had! I am sincerely grateful to you for brining something so positive to my life! 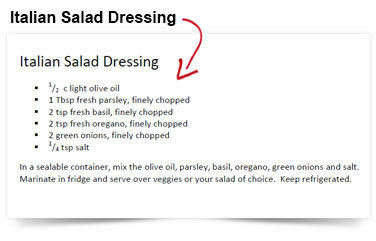 I look forward to trying more and more of your recipes each day!" 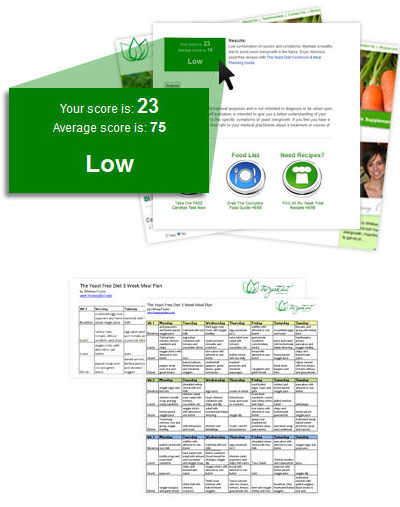 "I have struggled with chronic symptoms all my life that were a mystery to my doctors and then my allergist recommended a yeast free diet for me which seems to have really helped my situation. The recipes in your cookbook are delicious and really helped make a yeast free diet convenient and enjoyable. Now I have more energy and my symptoms have subsided. I truly recommend this resource to anyone trying to get yeast free! I have been passing on my story to many people. 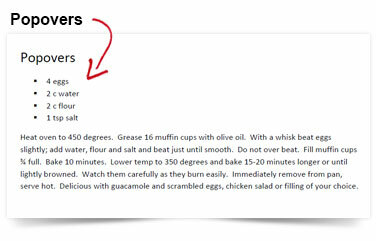 Whitney, thank you for helping me...."
"I came across your website whilst searching for Yeast Free recipes. 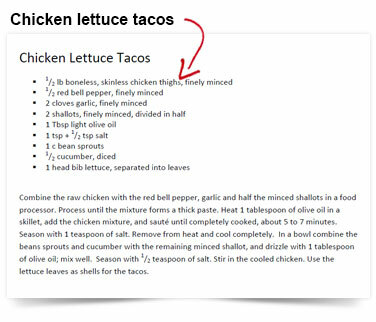 I downloaded your recipe book and was pleasantly surprised at delicious your recipes looked. They looked NORMAL!! I say this as for years on and off a yeast free diet I couldn't ever find recipes that were actually good enough to eat. 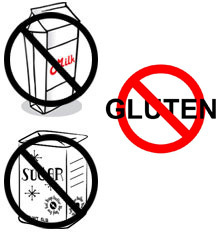 My Daughter and Husband are Coeliac so your recipes really sit well in our family too which makes it so much easier. I cannot wait to start feeling well again!!! Thank you!" Prescription Medicine and You Can Too... 100% Guaranteed! Don't wait to grab this SPECIAL for only $21 right now. 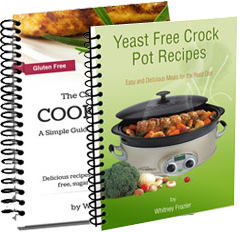 Only with this offer will you get The Candida Diet Cookbook, the Yeast Free Crock Pot Cookbook and the meal planning template for one low price - LIMITED TIME OFFER. Click the big orange button below to make your purchase and gain instant access to these valuable resources right away! "This is an instant download. Once your order is complete you will be directed to a special page where you can download the e-books instantly. The parent company is PbC Publishing Company if you see that name as part of the ordering process. For problems with your order or for questions regarding your purchase please contact us." 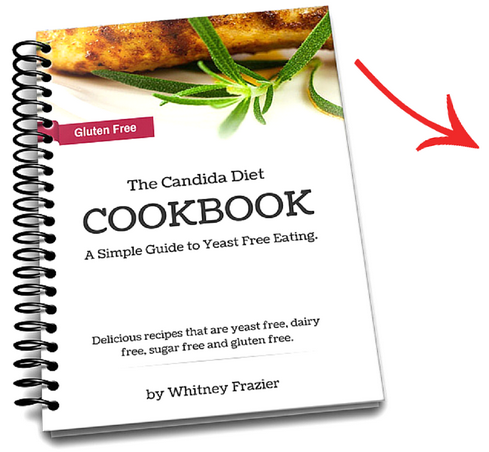 Looking for a hardcopy version of The Candida Diet Cookbook? Order it online and have the hardcopy version sent right to your home. Get it here. Still not sure? Check out the dozens of testimonials on the Candida Diet cookbook I have from people just like you or simply join us on facebook and see what others are saying. If you are wondering if I am real or if I can answer any additional questions for you prior to your purchase just e-mail me at whitney@theyeastdiet.com. "I wish you success in your fight against yeast!"